The Western Wall. Credit: Wikimedia Commons. (JNS.org) Nearly half of Israelis, 48 percent, support the right of the group known as Women of the Wall to hold traditional Jewish prayer services at the Western Wall, according to a recent poll conducted by the Israel Democracy Institute and Tel Aviv University, Israel Hayom reported. 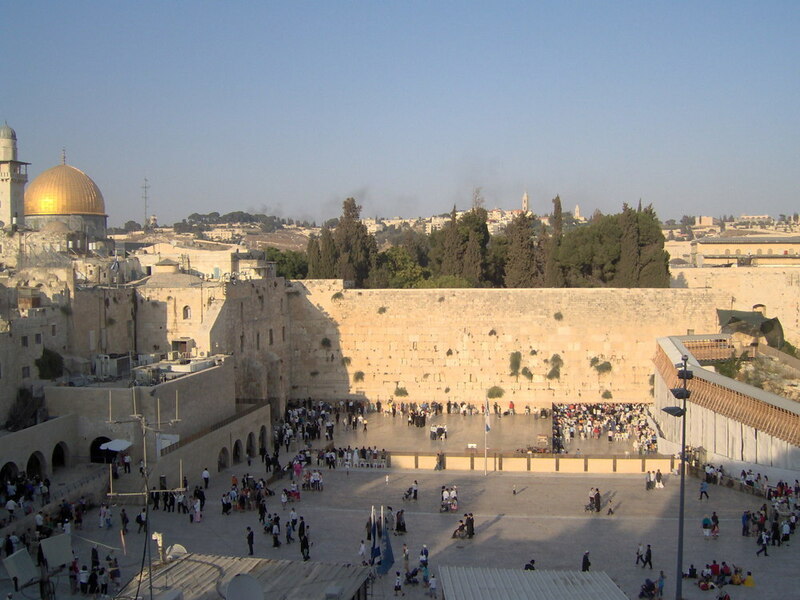 The results of the poll come amid increasing tensions between ultra-orthodox Jews who oversee the Western Wall plaza, Judaism’s holiest site, and a group of reform-minded women who hold monthly prayer services. The group’s women often wear traditional Jewish prayer shawls – tallitot – that are typically reserved only for men under Orthodox Judaism. On Friday, ultra-Orthodox protestors clashed with Israeli police after the Women of the Wall held their monthly prayer session. The poll also found that 64 percent of the secular public, 53 percent of the “traditional non-religious public,” and 26 percent of the traditional-religious public support the group. But the group was unanimously rejected by the poll’s ultra-Orthodox respondents. A proposed plan by Jewish Agency Chairman Natan Sharansky calls for the creation of an egalitarian prayer section at the Western Wall in a bid to quell tensions over non-Orthodox prayer at the site. Posted on May 12, 2013 by JNS.org.